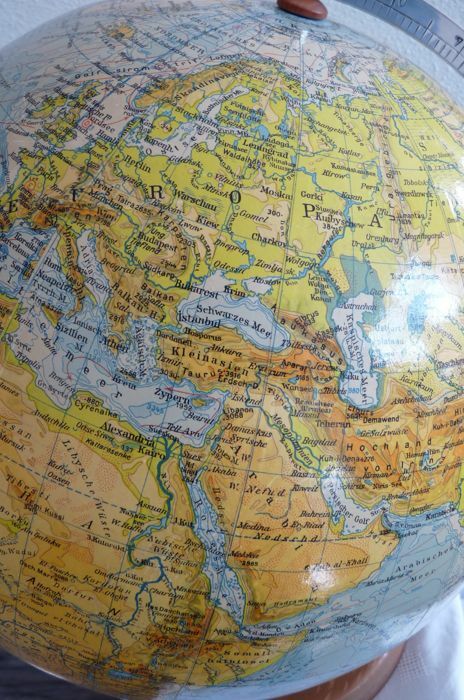 The map image mainly shows detailed geographical elements such as ocean currents, mountains, deserts etc. 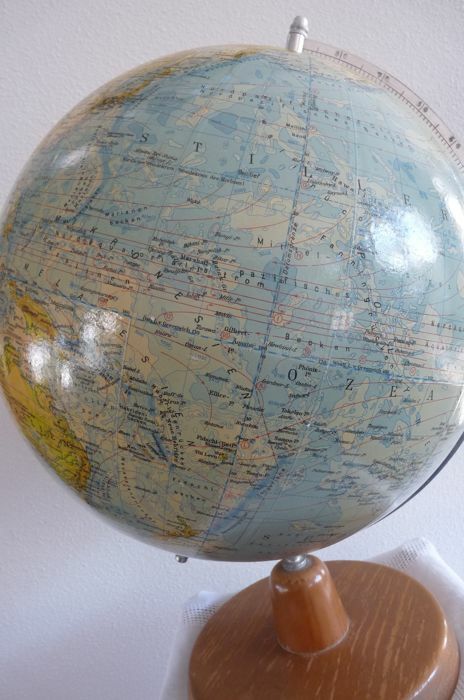 Clearly visible are also the deep troughs in the Pacific at the coast of Japan among other places, which indicate that there are also fault lines in this region of the earth's crust that could cause major earthquakes. 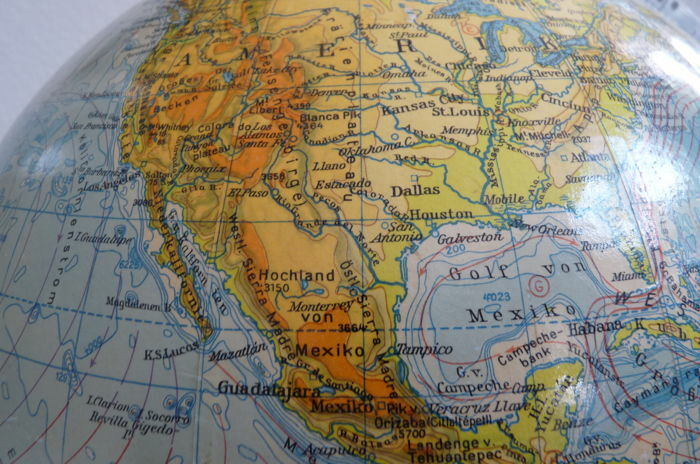 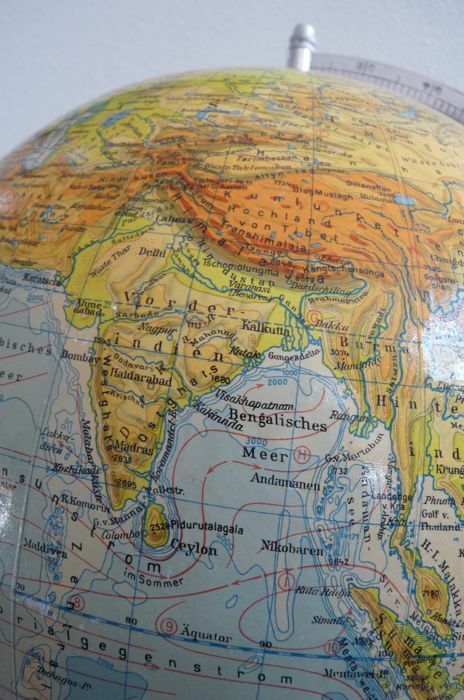 The globe is made of cardboard and covered in paper strips on which the map image is printed. 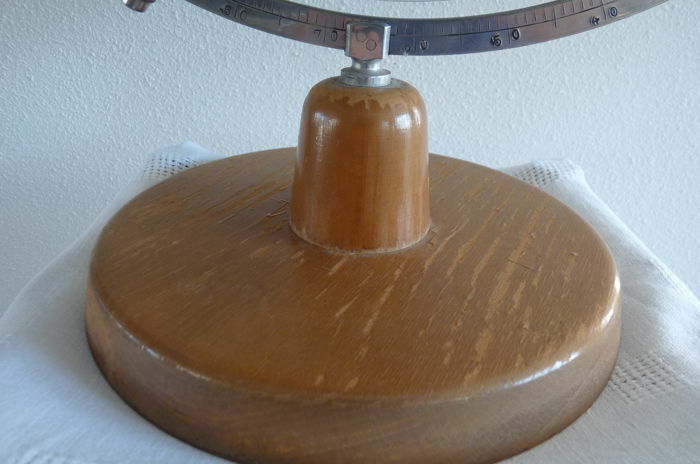 The meridian is made of metal and the globe stands on a wooden base (see also the pictures that are an important part of the description). 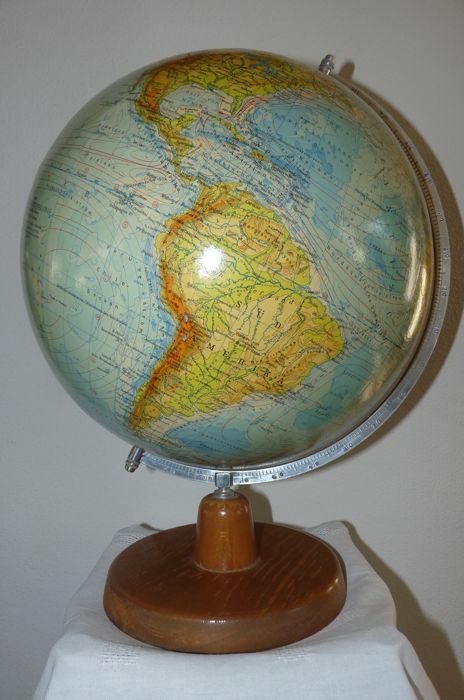 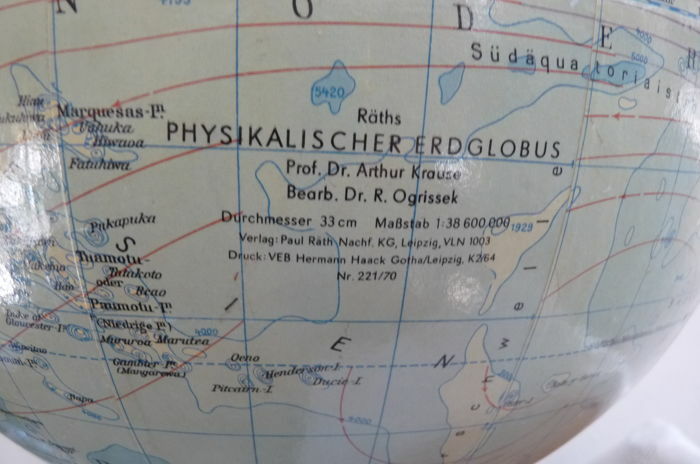 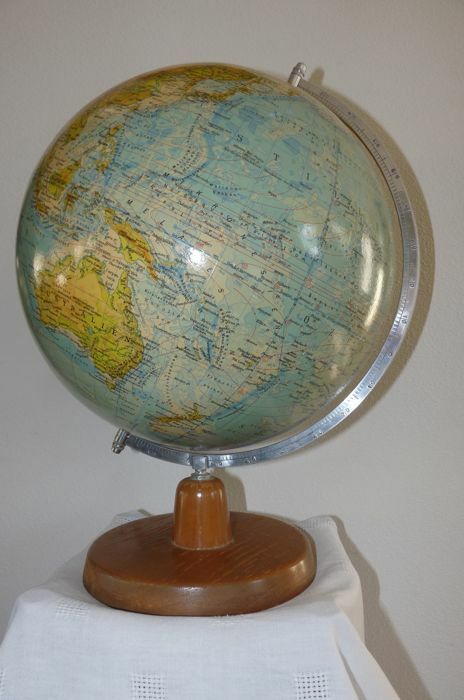 Condition: This globe is in very good condition with a beautiful patina; there are practically no signs of use. 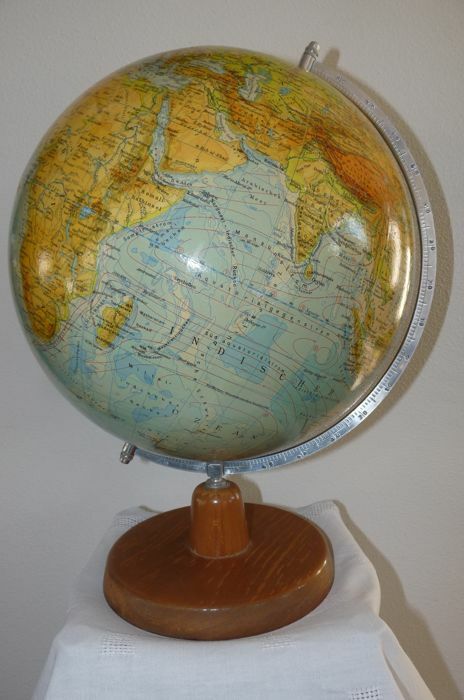 This is a beautiful decorative piece for your interior or on your desk! 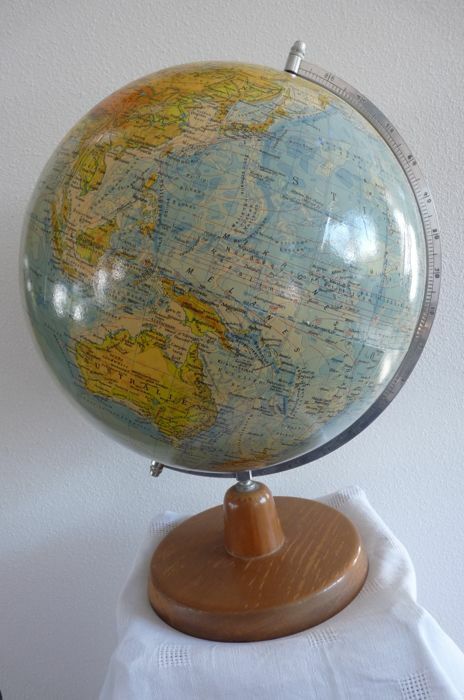 The globe will be sent by registered mail but it can also be collected from the seller.